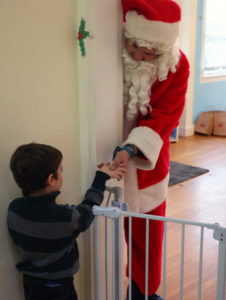 This is an opportunity for a less hectic, sensory-friendly visit with Santa! No lines, sign up for a time. Calm environment with sensory-friendly playground and therapy dogs from Marin Humane Society. An understanding Santa and professional photo. Siblings welcome. It's a family affair! Exciting Raffle prizes to benefit Matrix Parent Network and Resource Center. Generously hosted by All Children Academics.